Juliette Binoche photographed by Robert Doisneau, 1991. Sandrine Bonnaire by Robert Doisneau in Paris! Not an extremely photographed person, French actress Sandrine Bonnaire, star of La Cérémonie by Claude Chabrol (1995), A Nos Amours by Maurice Pialat (1983) and of course Vagabond by Agnes Varda (1985) is hard to find on magazine covers. Digging up portraits of her was not easy, thus making the following portrait by Robert Doisneau even more interesting. Shot in Paris in 1990. I am not the author of this photo. All rights go to Robert Doisneau. Posted on February 9, 2013 February 7, 2013 Categories FebruaryTags 1990, A Nos Amours, Black and White, La Ceremonie, Paris, Robert Doisneau, Sandrine Bonnaire, Vagabond2 Comments on Sandrine Bonnaire by Robert Doisneau in Paris! 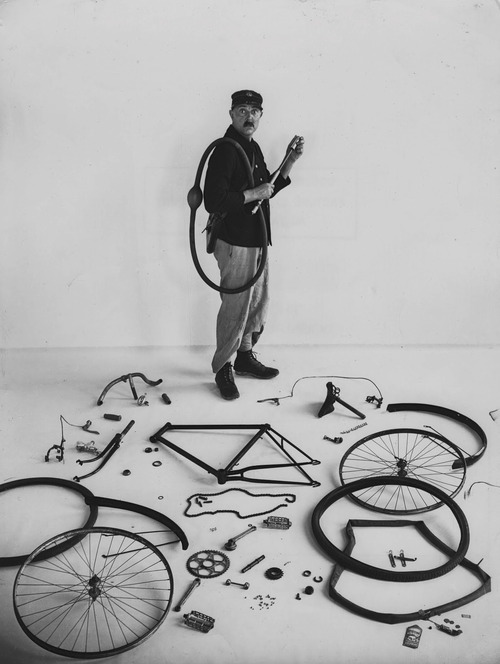 To the Jacques Tati (1907 – 1982) fans among you, check out this portrait of the director and his bicycle taken in 1949 by famed french photographer Robert Doisneau (1912-1994). The photo is titled “Le vélo de Tati”. I am not the author of this image. All rights go to Robert Doisneau. Don’t forget to like us on Facebook ! You know where!